BY Thursday last, Minister of Social Development and Family Services Cherrie Ann Crichlow-Coburn was able to point to the printing and distribution of $30 million worth of cheques to citizens affected by the catastrophic flooding of three weeks ago. Noting that the initial figure was $25 million, Prime Minister Dr Keith Rowley told the media on Friday "We have since gone past that and we may go a bit further." 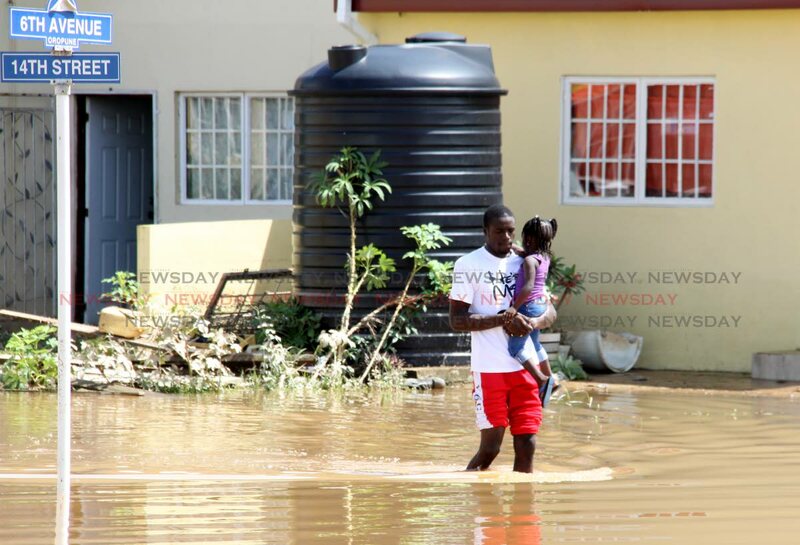 According to the Social Development Minister, close to 6,000 households had been assessed, a number that proved to be more than a third greater than the number of households affected by the flooding on October 19 in early estimates by the National Security Minister. HDC tenants who suffered damage, particularly hard hit in Greenvale, would get a deferral of payments for three months, a courtesy that the Prime Minister made clear was not a waiver. The government has received a payout of $17 million from the Caribbean Catastrophe Risk Insurance Facility, the second time this country has tapped the fund since expanding its coverage to add excess rainfall in 2017. The extensive disaster also brought a robust response from the public who rallied magnificently to the enormity of the situation, though the drama and chaos of the situation also inspired some appalling examples of political mileage, robust gallerying and unfortunate efforts at exploiting the situation for profit. But the concern and practical show of being a brother’s keeper by the wider population including the private sector - from employer to employee – remain the indelible feature of the debacle, laying the groundwork for the affected to recover. These efforts at exploitation, mercifully, were kept to a minimum and speedily outed by a public with no patience for such tasteless advantage of a country stretched to its limits and working hard to respond to shocking levels of danger and destruction. While Crichlow-Coburn could not point to any specific instances of attempts to cheat the system put in place for assessment and compensation, her ministry should not demonstrate any complacency in ensuring that the money allocated for flood relief reaches those who most desperately need it. It's unfortunate, but true, but the disorder of disaster and rushed efforts to bring relief are also a breeding ground for scams and schemes that both defraud the treasury and deprive needy citizens by needlessly confusing matters during their most desperate time of need. There seems no good reason why this process of payments should not proceed with some level of transparency and accountability. A publicly accessible record of payments to specific households would represent a start in providing an appropriate system of checks and balances to ensure that those who need the government's support are identified accurately and reached with urgency.